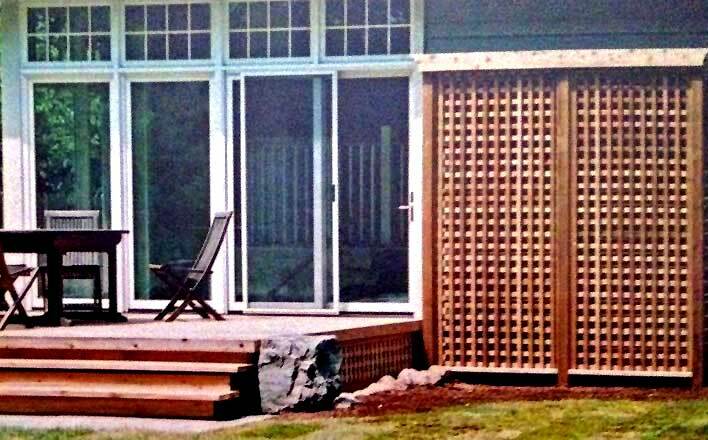 Landscape carpentry can be found within a landscape project for all your wood structure requirements such as a deck, fence or screen, garden shed, pool cabana, pergola, play ground structure and don’t forget about sectional wood walls for your back yard ice rink. 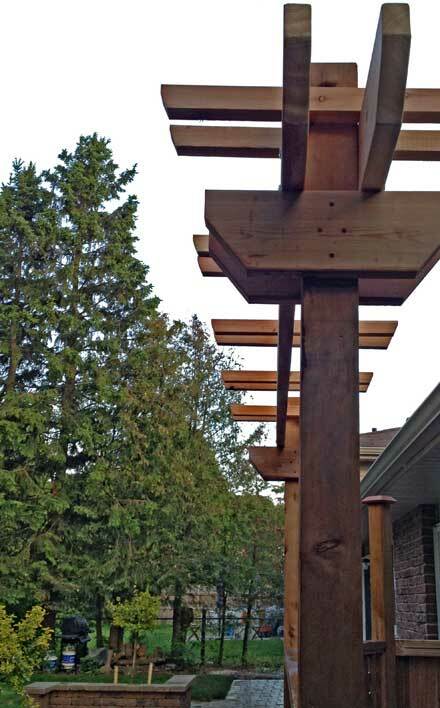 Most lumber used today is either cedar or pressure treated lumber however composite lumber is increasing in popularity but is not rated for structural use. 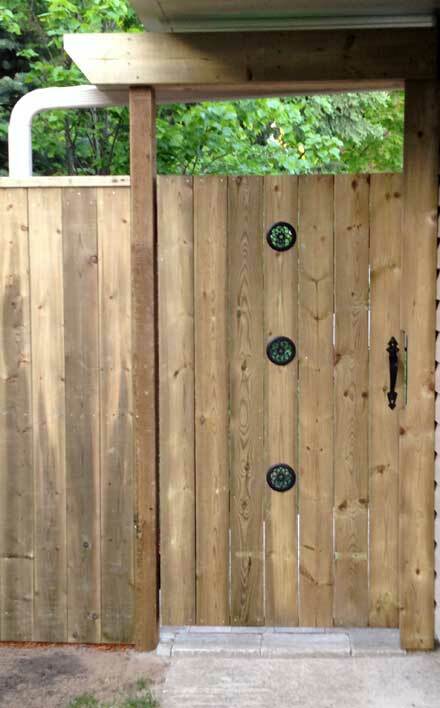 Rustic country fencing may be constructed using stripped cedar log posts with split cedar rails or rough sawn boards. 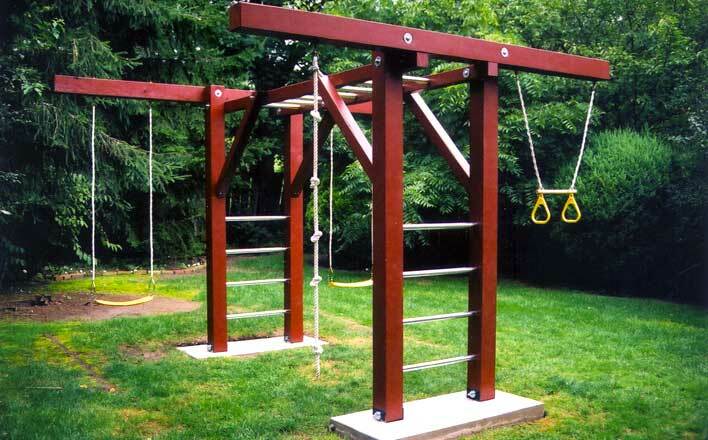 If your Do-It-Yourself project has gotten out of hand, we also offer an assembly service to our customers. 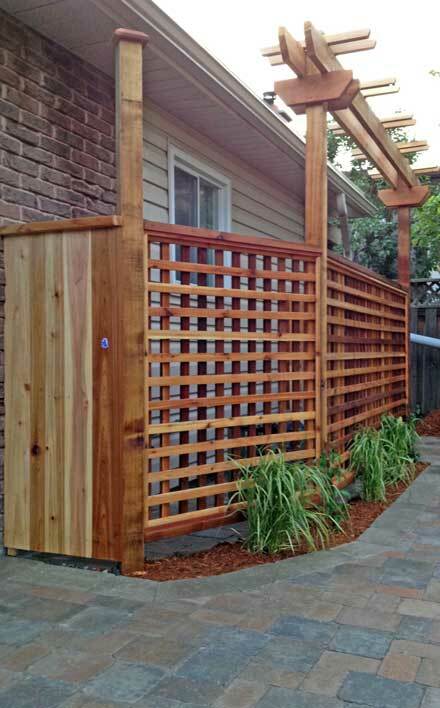 Cedar Creek Contracting are experts with Landscape Carpentry for your deck, fence, jungle gym, trellis, arbor, gates, arching, & screens. 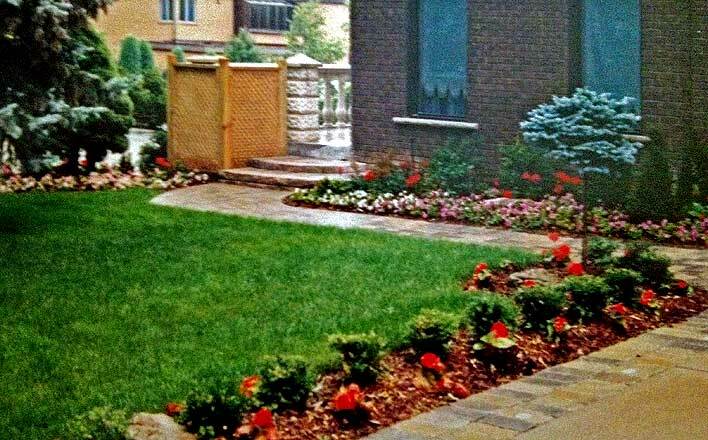 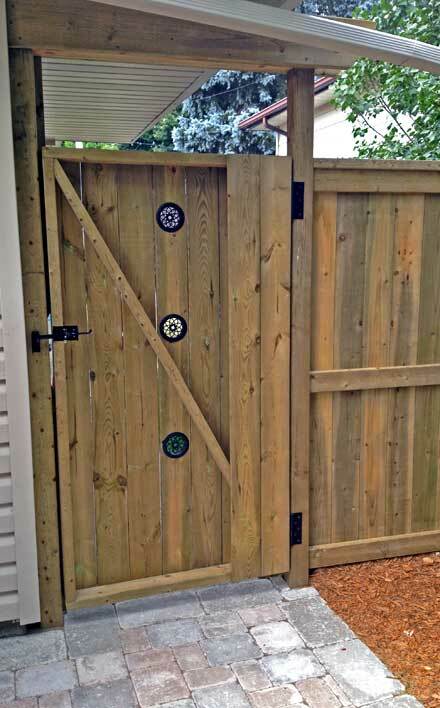 Chain Link Wire & Wood Driveway Gates, Entry Gates, Backyard Gates, Fence Gates. 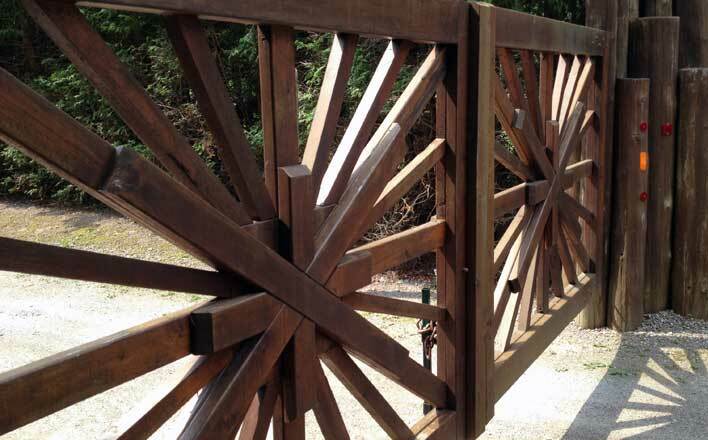 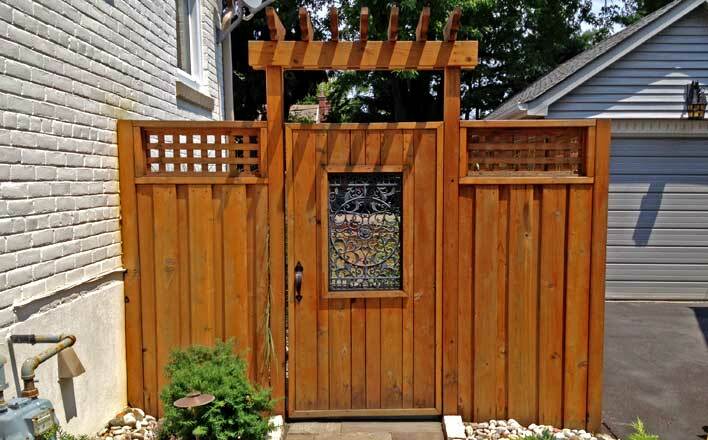 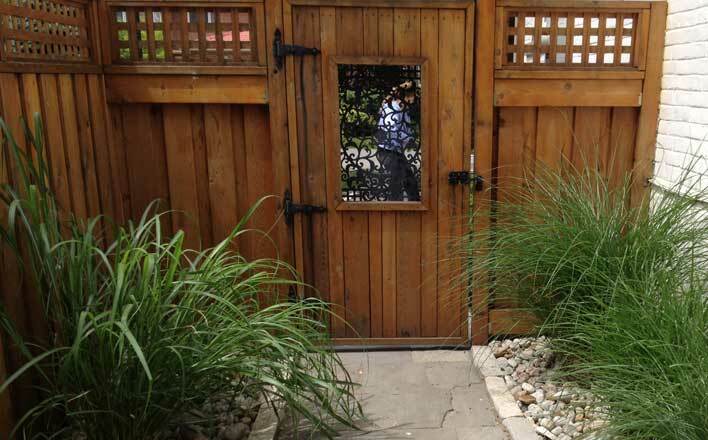 Cedar Creek Contracting can build a distinctive custom gate which will be your neighbor's envy. 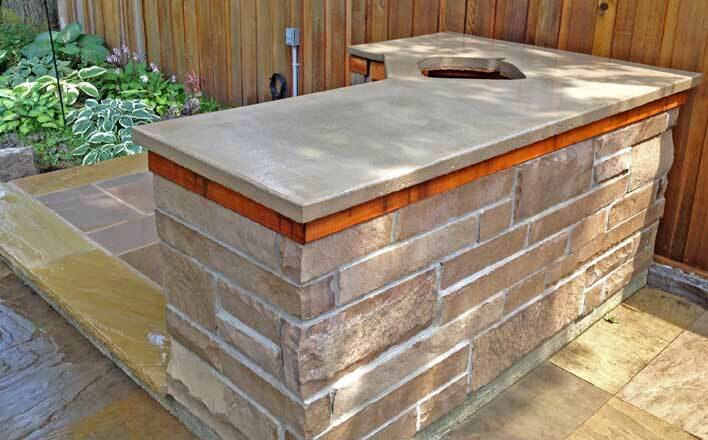 Beyond BBQ pads, BBQ concrete slabs, BBQ patios, Cedar Creek Contracting can design & install a complete outdoor kitchen with all the amenities you desire. 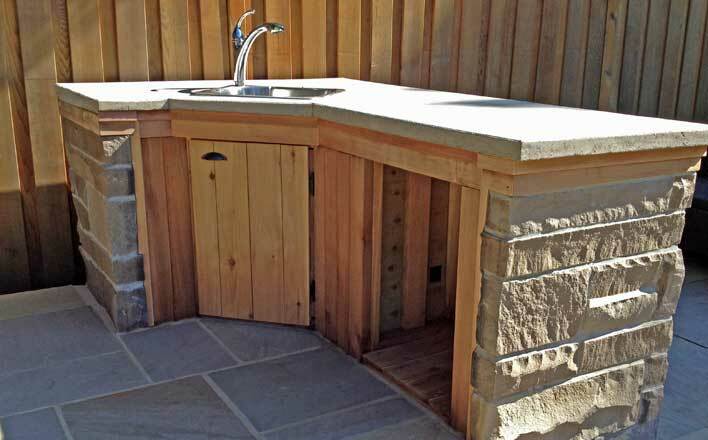 Complete with running water, refrigeration power, speaker or intercom wiring. 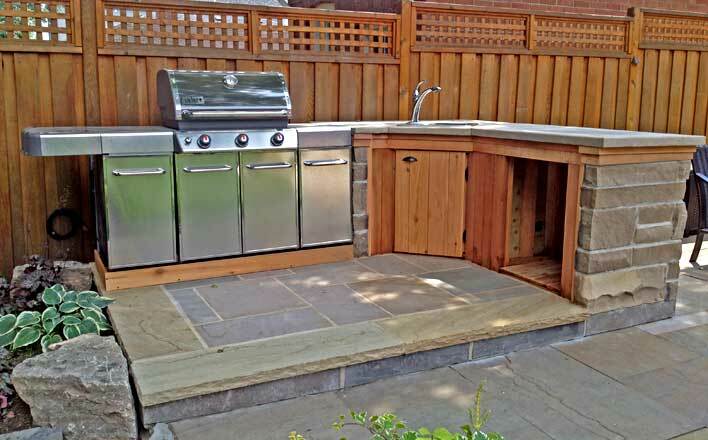 A great way to maximize your outdoor entertaining. 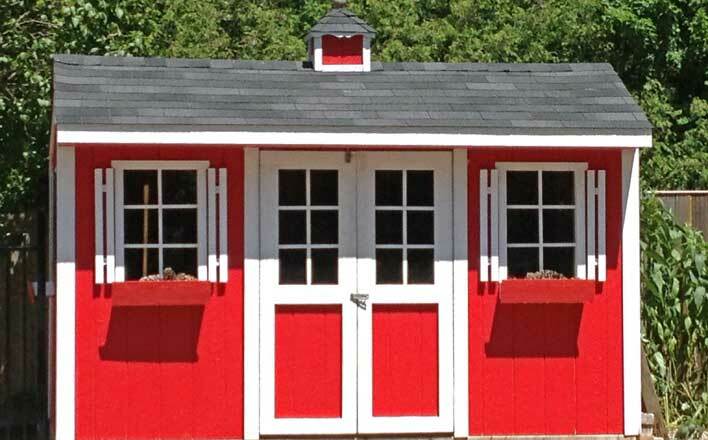 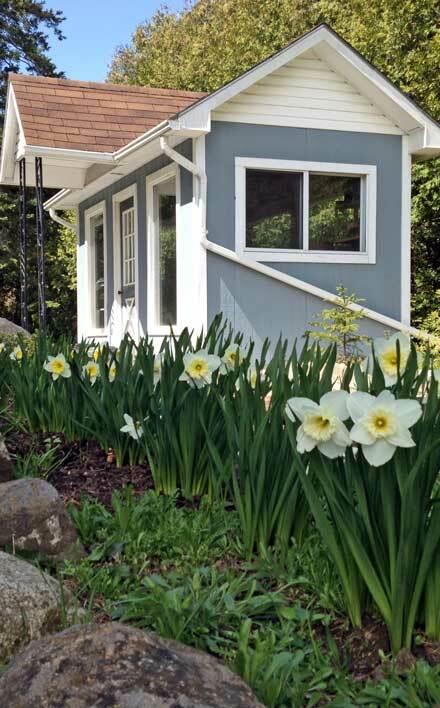 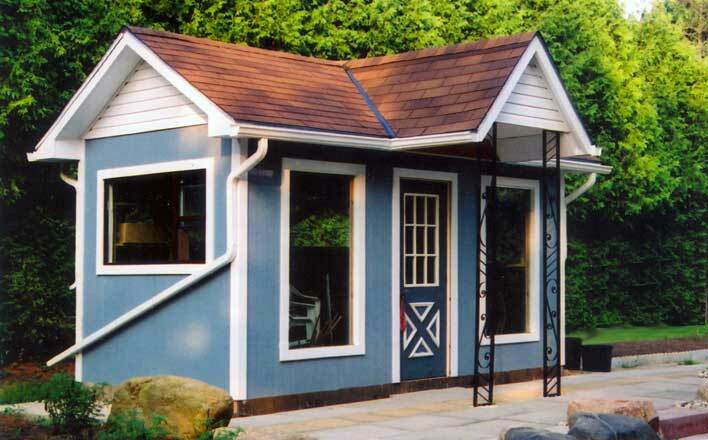 Cedar Creek Contracting can custom design & assemble garden buildings including your: Garden Shed, Potting Shed, Backyard Greenhouse, Conservatory, Art Studio & Pool Cabana. 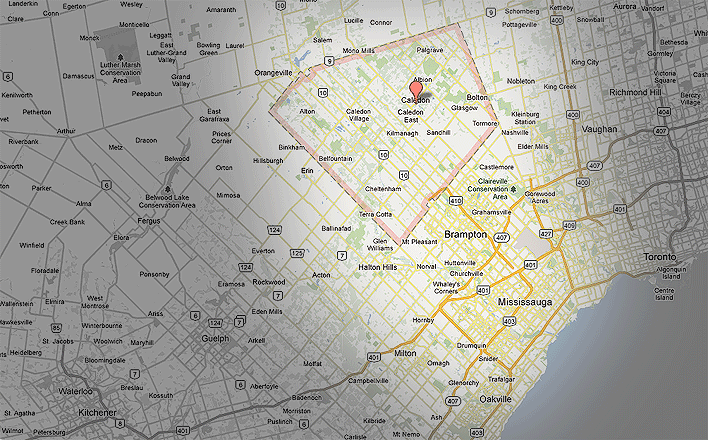 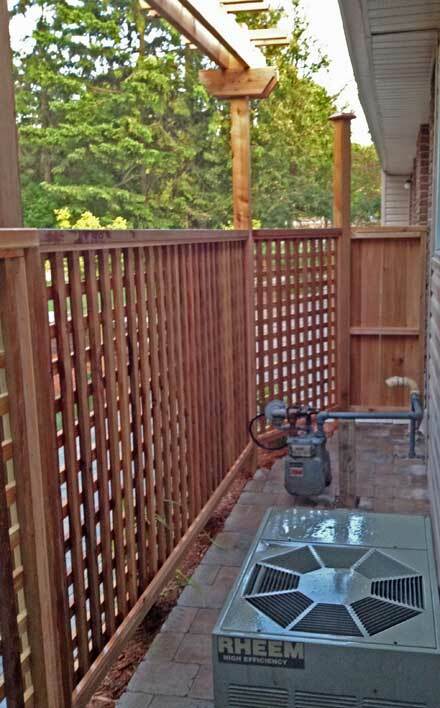 Concrete pads & repositioning of existing structures is detailed on the General Contracting page of our website. 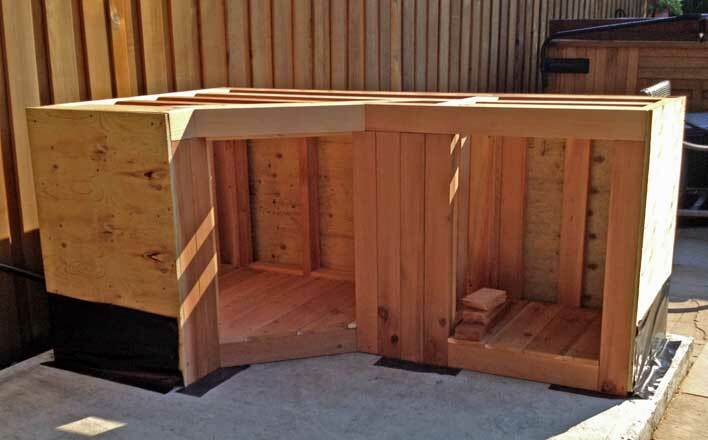 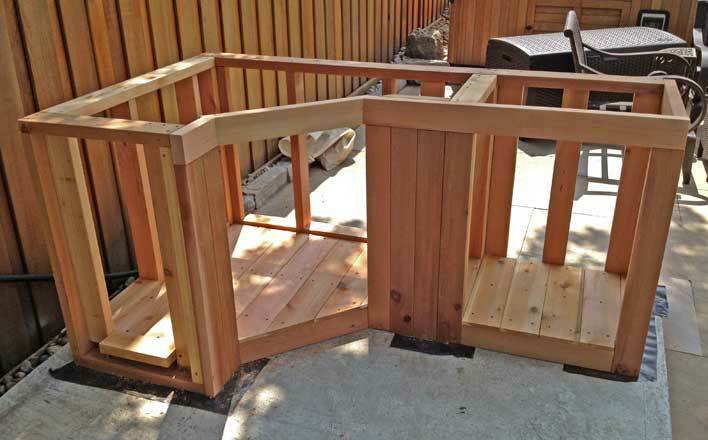 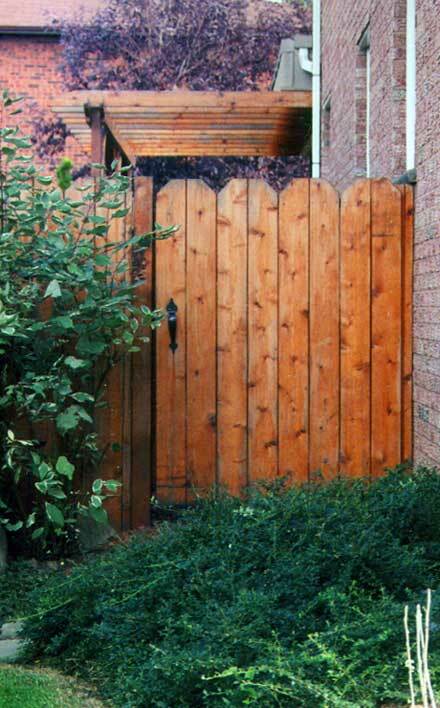 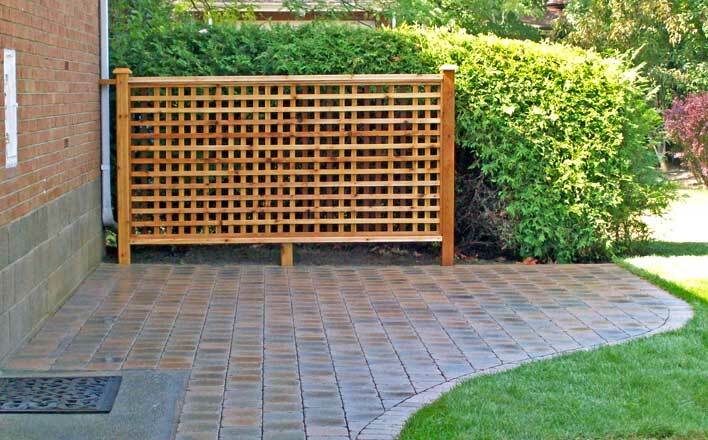 Wood privacy screens may be custom designed & are constructed from both natural cedar & pressure treated wood. 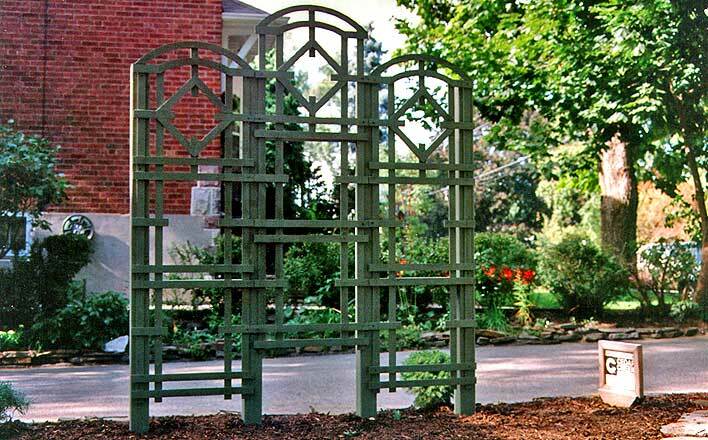 These may be purely decorative or could hide air conditioner compressors, gas mains, or garbage bins. 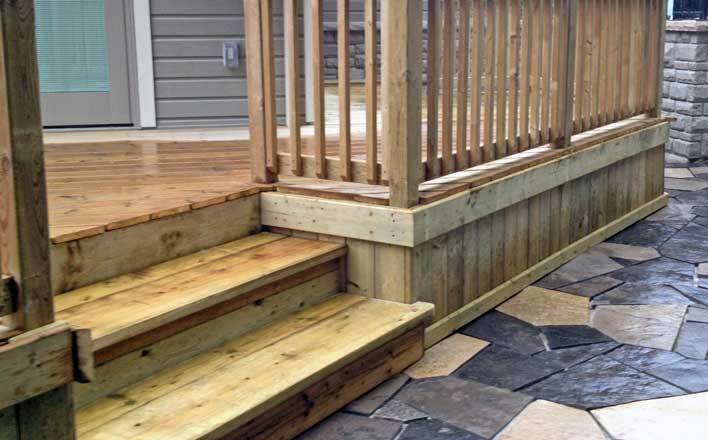 Wood decks may be custom designed & are constructed from both natural cedar & pressure treated wood. 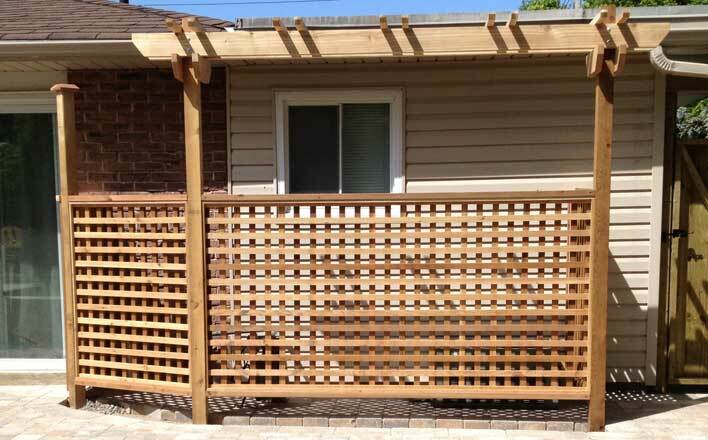 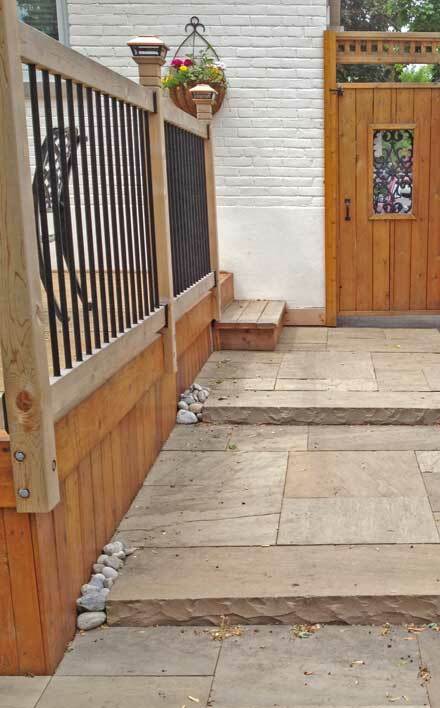 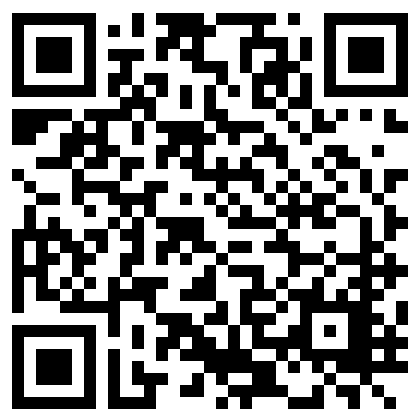 This is detailed on the Fencing & Decks page of our website.